By reading about everything from art heists to kleptomania, learn to say that a person is suspected of theft, is charged with theft, and is guilty of theft. 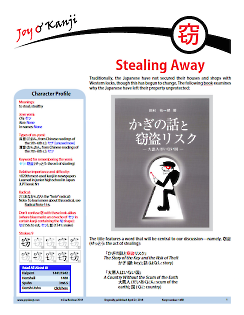 Find out what there is to steal from Japanese temples and how such thefts have played out internationally. See whether or not the Japanese have traditionally protected their property and whether or not thievery has been an issue in Japan.